Meet my intelligent, beautiful and hard-working premed college interns- Laura McLaughlin and Jacqueline Stoneburner. They both finished their freshman year – Laura at Washington University Saint Louis and Jacqueline at The University of Notre Dame. Laura and Jacqueline went to Chadwick School and played basketball together! They are learning sterile operating room technique here with my nursing staff and me! It is a privilege for me to have the opportunity to share my knowledge and love of surgery with them. They have met so many of my wonderful patients and all of them have been so supportive and inspiring as well! This is a great summer experience for all of us! I have been offering these internships for the past 4 years and will continue each summer. 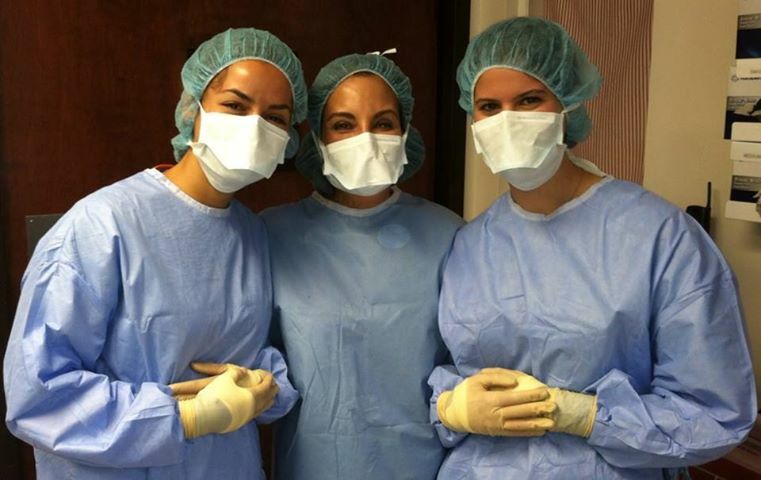 Thank you to my patients who are helping these young women grow in their experiences and assisting them in making a decision to enter medicine as women of the 21st Century!